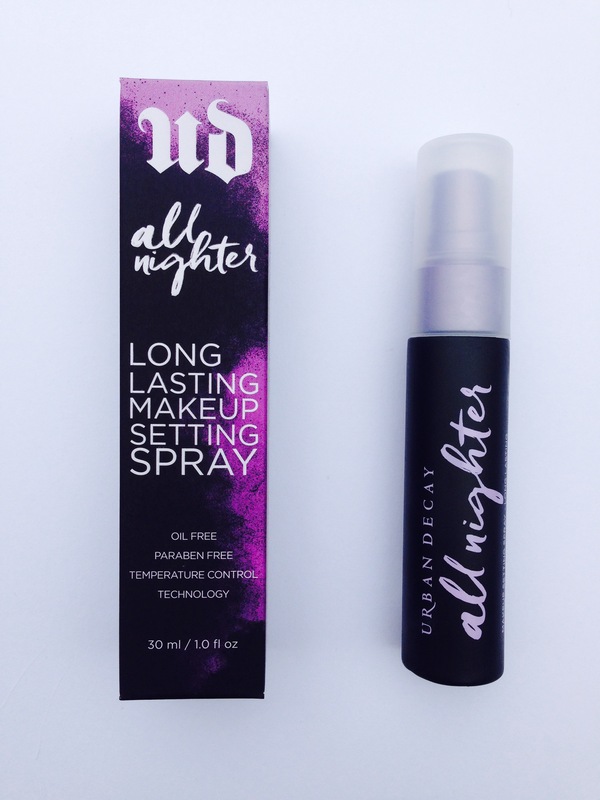 Reading online reviews of Urban Decay All Nighter Setting Spray is like diving headlong into a frankly terrifying world. Scenes abound of nights on the lash; weeping on the bathroom floor; fourteen vodkas and waking up feeling like a dog’s dumped in your head. But throughout it all, thanks to this setting spray, your make up stays pristine. So that’s alright then. Somebody’s granny was wearing it in hospital and sounding positively euphoric about it all. I love a product that people get really passionate about. Setting sprays were never a thing when I was in my clubbing heyday. You just got more raddled looking as the night wore on, and called it grunge. With the best will in the world, I can’t match the level of excess that this product is used to. I did, however, put it through a sweaty gym class, followed by my yearly Eurovision drinking game. Have I told you about my Eurovision drinking game? It involves drinking a lot when Eurovision is on. It’s great fun, you should try it. Works quite well when Glastonbury is on too, though in that version you can only drink cider. 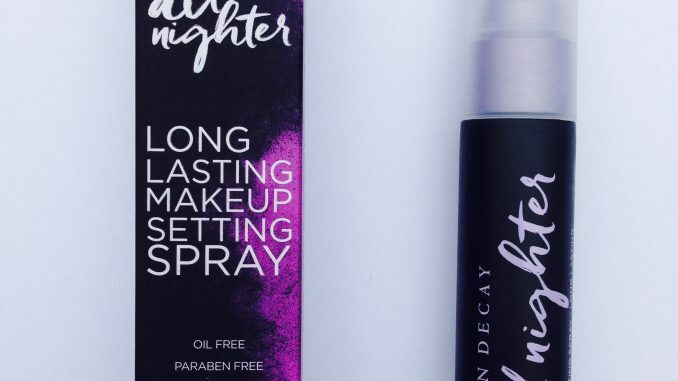 Urban Decay Setting Spray is basically the equivalent of hairspray for your face. It contains both alcohol and perfume, so it probably won’t suit those whose skin is of a nervous disposition. It claims to keep make up looking as good as the moment you applied it, for up to 16 hours. It certainly kept me going through the twin peaks of BodyCombat and Portugal’s landslide Euro-triumph. I found this bit quite fun – you have to mist it over the face in an X and then a T formation. Unless your name is Zorro, presumably, and then you get to do a Z. The spray disperses in a microfine mist and dries within seconds. It promotes a dewy rather than a matte look, though it’s oil free so it stops short of leaving the skin looking too shiny. This is a useful product to pop in your bag if you either can’t or don’t want to reapply your make up during the day or night. For that reason I’d be inclined to go for the handbag-sized travel version rather than the full sized, though if you use it every day then the big bottle is more economical. And next time you’re climbing the Andes, giving birth or mucking out the pigs, you’ll know what to apply to keep your glamour rocking.